Notably, it’ll look great while doing it. Professional interior decorators have long talked about how feelings of comfort and luxuries are at least in part based more on how things look than how they actually feel. If you’re a contractor, then you’re probably shifting uneasily in your chair at the thought of that idea. Nevertheless, it’s actually true! At the same time, though, marble thresholds are extremely practical and durable so you won’t have to worry about sacrificing functionality for style. If you’re worried about the initial purchase price of the marble, then consider all the benefits of using marble as your finishing material. While you may spend a little more today, you’ll save in the long run and possibly even improve the value of the home. Consider these five reasons that you should be using marble thresholds in your bathroom and you’ll quickly realize how versatile these pieces really are! Water eventually rots wood without a protective coating, and the grout in between tiles will give way over time and have to be replaced. Various types of synthetic materials will eventually start to crack, as will resin and anything else you might find lesser thresholds made from. 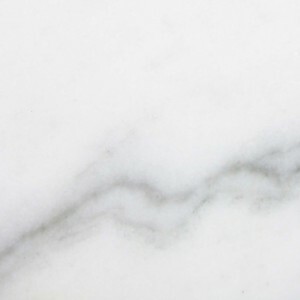 Even metal may eventually corrode with regular exposure to humidity, but you won’t have to worry about these issues with marble. This durable and attractive material can handle high levels of moisture and even standing water. Cut to the appropriate length with minimal seams, it allows you to eliminate most of the grout lines to better protect the subfloor. In doing so, you can ensure that the underlayment will last much longer since there were won’t be nearly as much fluid leaking through. Considering that thresholds are often used when transitioning away from a bathroom, this is a particularly important feature. Think about the images of ancient monuments you’ve probably seen in dozens of old travel guides. The ones that are in the best shape always seem to be made out of marble. Each of those structures has been out in the elements every day for centuries without any sealant, and they still look relatively decent considering their age. Now take a moment to think about how long an interior threshold can last when treated properly with just this one simple bit of maintenance! It’s no wonder that many architecture firms actually specify marble as opposed to any other building material. Commercial developers always have to take this into account, because there are numerous laws that they have to consider when remolding bathrooms. Wheelchair accessibility is necessitated by law in many areas. Installing these thresholds is an excellent way to remain compliant with such regulations. If you’re dealing with two floors at different heights, then have the marble cut to the match the taller height. Bevel the opposite side for an easy and smooth transition. This can make getting over the hump much less of a chore and it looks much better. In some cases, people have a tendency to snag their socks or another piece of clothing on a piecemeal transition between two pieces of flooring that are installed at different heights. This will drastically reduce the risk of this embarrassing problem. If you’ve ever tried to draft blueprints around preexisting materials, then you know how much of a benefit this can be! Another benefit of using marble in areas like the thresholds is that it helps to cast your home in a positive light. When people see this type of upgrade, they automatically assume that you’ve taken good care of the property and have invested in quality materials for less visible areas. This type of impression can only work to your benefit when it’s time to sell. It’s also a good idea for new home projects. Say a developer has to put up a number of houses in a specific area that all follow a set pattern. When people see attractive features like marble thresholds prominently displayed in the model home, they’ll be more likely to purchase a house for themselves. Real estate agencies will often instruct their photographs to take images a certain way, and having something attractive like a few extra pieces of marble can aid these photographers in the staging process. Whether you’re finishing off the bathroom in a sleek modern style or going with something more casual, marble is a fine choice that will work beautifully. With other materials, you can wind up having to change them out whenever the décor is updated, but this won’t be a concern with marble. Whether you go with a white, tan, or gray shade, you can rest assured that it will work with your changing color schemes and prove to be an asset for many years to come. Interior decorators won’t even have to consider what might happen if a piece were to fade, either, because marble doesn’t shed its color the way some other materials do. Considering how easy it is to clean marble, there’s no reason not to find additional ways to use it either. It can be a great way to keep the décor in your project looking gorgeous as well as spotless for many years to come. In addition to offering a consistent inventory featuring the most popular shades and sizes, we also handle custom orders to ensure that your needs are met. This gives you the option of keeping plenty of extra pieces on hand for any surprise projects that might spring up. Our goal is to minimize the damage of the tiles and fill the order quickly. We work with several nationwide shipping companies, so you can expect prompt delivery of your beautiful new thresholds. Contact us today to discuss the needs of your upcoming project.